This week, the University of Calgary’s School of Creative and Performing Arts will be presenting the hit Broadway musical West Side Story. 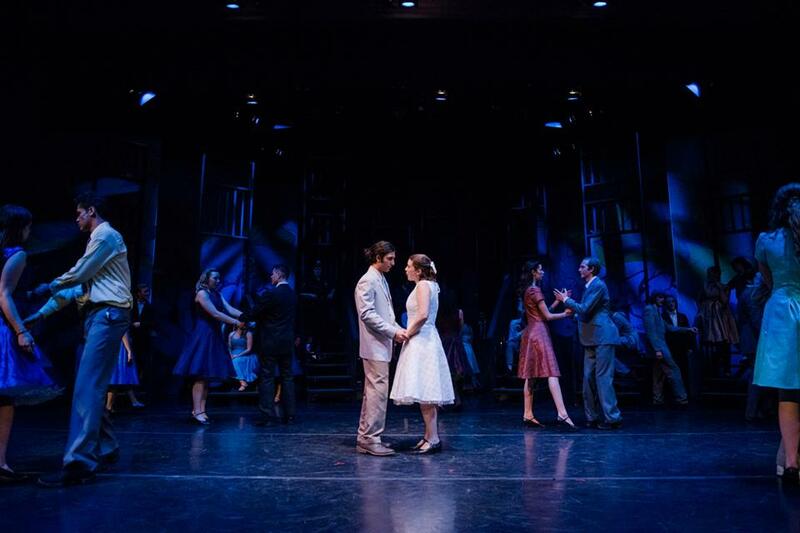 For Colleen Whidden, the artistic director of U of C’s Music Theatre company, the decision that West Side Story should be the SCPA’s first show was an easy one to make. Based on William Shakespeare’s Romeo and Juliet, West Side Story stages the heated gang rivalry between the American Jets and the Puerto Rican Sharks in New York’s Upper West Side during the 1950s. Caught between the conflict are two young lovers whose relationship is threatened by the hatred and violence that surrounds them. And despite the almost 60 year gap between this production and when the musical was first produced in 1957, Whidden believes that the story and its themes have not lost any of their relevance over the years. Tony (Ahad Mir) and Maria (Jocelyn Francescut). Photo Credit: Citrus Photography. This spirit of coming together is also reflected in the collaborative nature of the production which Whidden says has benefited the students, alumni, and community members involved. This has made West Side Story a great learning experience for both Ahad Mir and Jocelyn Francescut who play the lead characters Tony and Maria, respectively. Mir, a fourth year U of C drama student, praises the collaboration, saying that he feels it has fostered plenty of opportunities to learn from his peers in the dance and music departments, and vice versa. Likewise, Francescut, a music graduate from the University of Alberta’s Augustana Campus, says she has learned a lot through working with other disciplines in what she calls her first acting role ever. Delivering such a well-rounded experience means that the level of what is expected of students in the future will only go up, Whidden says. She is confident, however, that students will meet, if not exceed, those expectations. The University of Calgary’s School of Creative and Performing Arts’ production of West Side Story opens Thursday, January 8th at the University Theatre. Jan. 8 – 10, 13 – 15 at 7:30 p.m.
Jan. 11 at 2 p.m.
Jan. 14 at 12 p.m.
Tickets are $20 for Adults and $15 for Students/Seniors. Tickets can be purchased on-line (http://www.ucalgary.ca/tickets/) or at the door.